Hosted by Barry and Michelle, we provide friendly West Coast hospitality and go the extra distance to ensure you have an enjoyable stay in Greymouth. 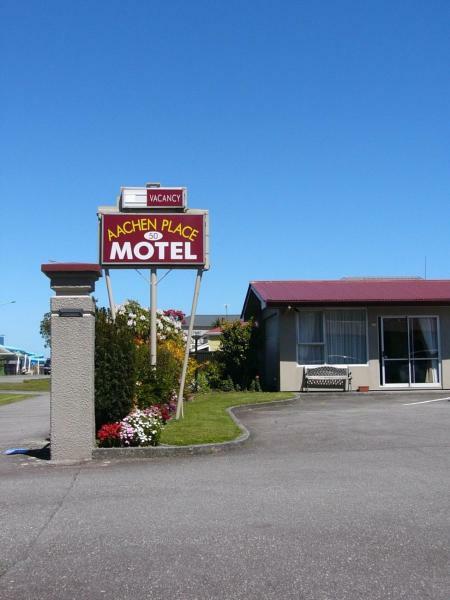 Aachen Place Motel, Greymouth is a centrally-located motel offering comfortable, peaceful, and attractive accommodation for families, business travellers, groups, sports teams, individuals - anyone visiting the beautiful West Coast. We are located close to Aquatic Centre, Westland Sports Stadium and Hockey Turf, making Aachen the perfect location. Also, it’s only 100 metres to a restaurant, bar where we offer meal chargebacks, and close to a supermarket, and 2kms to the town centre. We’re only 2.3 kms from the train station, and offer pick ups from the train station on request. Built in 1887, this former Barrister and Solicitor's office has been carefully renovated in 2015 to add light and space without losing its old-world charm . . . More . . .